Hello folks. Venetik from here. Firstly I want to admit that, I'm working on that game I was speaking long time ago. However I don't have any tech demos yet! Story is complete in a half, some models are done, and I know some programming now - JS, C++, C#. I'm also doing a small web page in laravel 3 but it's other story. 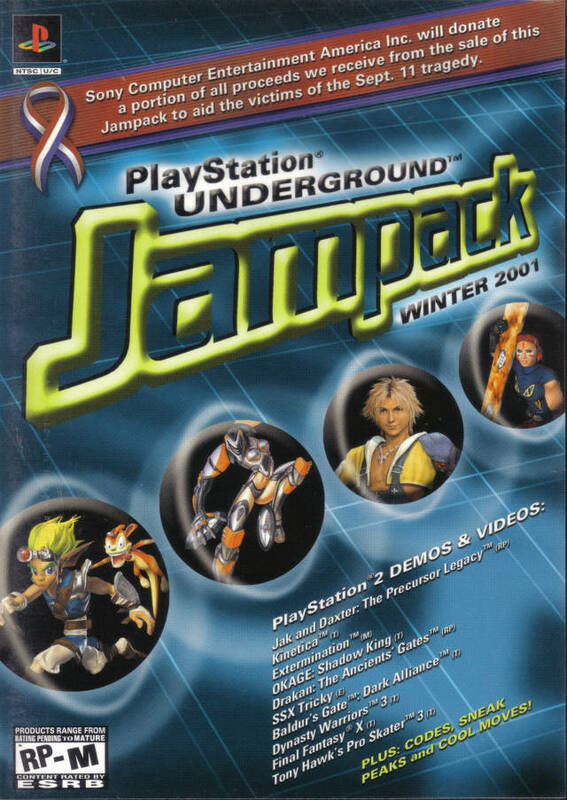 Yes, it's Sony Playstation 2 Underground Winter 2001 Jampack wich contains DRAKAN 2 DEMO! Re: I found it! At last! This gem was unavailable for me, because on ebay and amazon copies were from america. For me it was too expensive. But I found a copy. So, now I'm messing with this. I'm courious if I can open aachen lvl in riot level editor. I figured after buying it a year or so ago, it was about time to share. I hope you can do some cool stuff with it!